With Love From Rachel: Is Exfoliation Really Necessary? Yes, It Most Certainly Is. Is Exfoliation Really Necessary? Yes, It Most Certainly Is. Is exfoliation necessary? This is a question that I am asked frequently, and I truly feel that exfoliation is an important part of everyone's skin care regimen. I try to explain this to customers by giving the example that putting a $75 skin cream on your un-exfoliated skin is like watering your lawn when it is covered in plastic (I made that little analogy up myself!). Natural exfoliation happens naturally every 5 weeks or so. This is when dead skin cells are shed and replaced with new skin. Unfortunately, this process begins to slow down as we age due to hormones as well as free radical exposure and other toxins in our environment. 1. 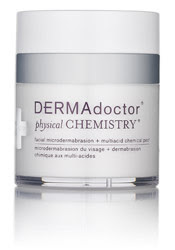 DERMAdoctor's Physical Chemistry: This product gives you the benefits of a chemical peel and microdermabrasion in one step. The cost is $75, which is very reasonable when you consider that a single microdermabrasion treatment can be as much as $400. I have been using this product for quit some time (even before I worked for the company, which I do, FYI) and have noticed a huge difference in my skin's overall texture. 2. 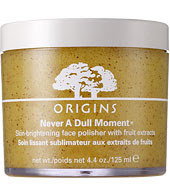 Origin's Never A Dull Moment: I love love love this product. I started using this when I was 18 as an upgrade from the St. Ives Apricot Scrub and have been using it once a week ever since. I think that this exfoliator is a steal at $25. It uses the natural AHAs found in papay as well as ground apricot and mango seeds to genly exfoliate dead skin cells and debris. 3. 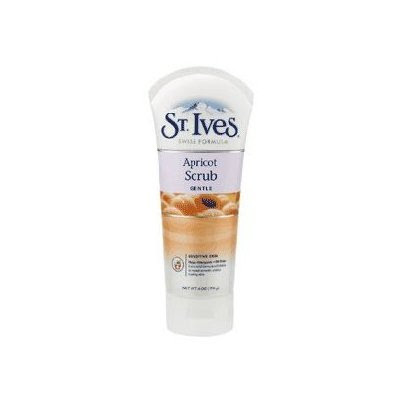 St. Ives Apricot Scrub: I have to say honestly that I use to cringe when I was still doing facials every time a client told me that they used this scrub. Back in the day (the 90s) this was made with unsmoothed chuncks of walnut, inexpensive oils and parabens. I saw many girls do serious damage to their skin by using this product overzealously. In the last few years though the company has made some major improvements to the scrub: it is oil free and paraben free and contains 100% natural extracts and exfoliants. For under $10 I really like the gentle version of this product. So to conclude, exfoliate your skin once or twice a week. I use the Apricot Scrub every once in awhile in the shower. When I start working for real, I would love to try that DERMAdoctor. It is better to exfoliate face 2-3 times a week to rejuvenate your skin. I got to know about this site called myskin.com through my friend – I have created my personalized skin profile there. They have recommended me scrub suitable to my profile andd worked well for me. For an in invite code is "greatskin".